Our goal is to connect people with the best local experts. 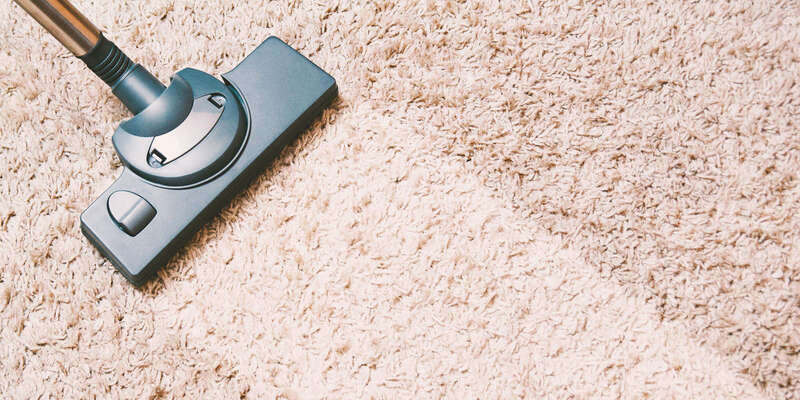 We scored carpet cleaners on more than 25 variables across five categories, and analysed the results to give you a hand-picked list of the best carpet cleaners in Jersey City, NJ. Based in Taos, New Mexico, A Friendly Carpet Cleaning has over 20 years of experience removing allergens, pollutants, bacteria, stains, or smells from clients’ homes with child and pet safe products. For residential and commercial service sites, the staff offer upholstery cleaning (for furniture, RVs, automobiles, boats, or air crafts), hardwood floor cleaning, tile or grout cleaning (for floors, showers, or countertops), air duct cleaning, carpet cleaning, water restoration services, and carpet installation. In addition to these standard services, they offer a 24-hour emergency service for clients experiencing a disaster and can provide hypo-allergenic services for skin-sensitive customers. The business is a family owned and operated company that targets customers of all backgrounds to provide a united standard of exceptional service. Located in North Bergen, New Jersey, America's Best Cleaning Service is a professional cleaning company that serves clients in the surrounding metropolitan area. A local, family owned and operated business, America's Best Cleaning Service has been in business for more than twenty years. The company can be contacted by phone or email for booking purposes and offers clients such services as upholstery and furniture cleaning, carpet and area rug cleaning, wood floor refinishing, and more. The company's services can be one-off as well as daily, weekly, or monthly package deals. America's Best Cleaning Service accepts major credit cards. Carpet Cleaning Hoboken satisfies customers with their cleaning service in and around the Hoboken area. The staff at Hoboken is trained to answer all of your questions to ensure your satisfaction. With up front and transparent pricing, Hoboken offers special rates and free estimates for all potential clients. They specialize in steam cleaning because it is harmless and eco-friendly as well as effective and efficient. This method is safe because they use zero chemicals, only hot water and hard work. Some services they frequently get called for are pet stains and odors, air duct cleaning, upholstery cleaning, tile and grout, and wood floor cleaning. Dry All, LLC is a carpet cleaning and damage restoration company in West New York, New Jersey, providing services to residential and commercial clients. Dry All, LLC has more than 15 years of professional experience in the damage restoration industry. Their services include carpet cleaning, air duct cleaning, water restoration, fire and smoke restoration, bio-hazard clean up, and sewage clean up. Dry All, LLC has a staff made up of skilled professionals, with the necessary experience in repair and reconstruction to help their clients recover from all types of disasters. 24-hour emergency services are available, and they offer free estimates for their clients. GoSteamClean is a versatile and respected Bergenfield cleaning company with a caring and experienced staff ready to go the extra mile for customers. From offices and motels to apartments and condos, the company’s cleaners are equipped with the latest products and tools to get even the dirtiest carpets and floors clean as new. Wood, tile, carpet, and rugs collect all kinds of smelly stains, grime, and dirt, and can harbor dangerous bacteria, molds, and allergens that get people sick and reduce indoor air quality, so customers need a company they can rely on to get surfaces and fibers truly clean every time. The company also offers weekly, monthly, and bi-monthly janitorial service to commercial customers to help keep businesses fresh and protect the health of employees and clients. Kulfi Cleaning in Jersey City, New Jersey, has been dedicated to tailoring its high-quality services to clients’ commercial and residential cleaning needs for more than two and a half decades. Being available 24/7, the trained professionals are highly dependable and flexible. Their thorough procedures are carried out with modern equipment and safe for people and the environment methods and materials. Their services include carpet and regular domestic cleaning, as well as commercial cleaning, designed to give businesses a professional appearance. Kulfi Cleaning operates with a focus on cost-efficiency and affordable rates, and in that spirit, it offers different promotions online, including 25 dollars off carpet cleaning. Lazarian Carpentry and Drapery Cleaners, LLC is located in Ridgefield, New Jersey where it caters to the needs of clients within the area. The company specializes in cleaning and restoring carpets as well as drapery or upholstery. The business was founded in 1983 and is family owned. Lazarian Carpet and Drapery Cleaners, LLC serves Northern New Jersey, Rockland County, and the Manhattan area. The BBB Accredited Business ranks them as an A+ business providing exceptional services compared to others in their field. Carpet cleaning services provided by the experienced staff use only eco-friendly products for a much healthier clean. The company uses the HOST dry extraction method to practice safer methods for people or their pets and never leaves sticky or soapy residue behind after job completion. Maid in Hoboken is a fully bonded, insured, and licensed cleaning contractor in Hudson County that operates on the core values of “C.H.I.P.S.,” which stands for communication, honesty, integrity, and professionalism.” The company enjoys five-star ratings and rave reviews from residential and commercial clients, as well as their referrals, and it takes pride in its highly experienced, thoroughly screened, well-equipped, and respectful crew. The team undergoes continuing training to keep pace with industry developments, and it follows strict procedures for upholstery and carpet cleaning, kitchen floor mopping, bathroom tile scrubbing, and other tasks. Maid in Hoboken offers one-time and regular service options for residential and commercial interiors, and its website features an introduction video, a guide to choosing an honest and consistently efficient provider, and other valuable information. New Jersey Carpet Cleaning offers the highest level of commercial and residential cleaning services and uses time-tested methods and the latest innovations to leave carpets, upholstery, and tile looking good as new. The company offers specialized organic carpet cleaning using botanically-sourced products that leave behind a fresh, natural clean without harsh chemicals or perfumes, perfect for customers with allergies and sensitivities to standard cleaning products. From oriental rugs and fine fabric curtains to marble, stone, and mattresses, every member of the team is dedicated to leaving behind nothing but a fresh, sparkling, sanitary clean. The company also specializes in new carpet installations and has an extensive range of colors and styles to enhance and compliment any home. Regina's Maids operates out of Jersey City, and they provide residential and commercial cleaning services to the surrounding areas. The company has been in business since 1975. They believe in delivering personalized, friendly service to all their clients. Regina's Maids has an A+ rating from the Better Business Bureau, and all client keys stay protected with a safety lock box system under 24-hour video surveillance. In addition to residential and commercial cleaning services, Regina's Maids offers carpet cleaning and cleaning services that assist clients moving in and moving out of buildings. Regina's Maids offers fixed rates for recurring services that can occur weekly, biweekly, every three weeks, or monthly. The Hygienic Home is a company carrying a membership of the U.S. Green Building Council and specializes in environmental and green cleaning. In fact, it is the first company in the U.S. to provide green cleaning services to eliminate hidden and harmful contaminants, including pet dander, dust mites, mold, mildew, bacteria, smoke, and soot. The company staff solely use European technologies that are safe, eco-friendly, and don’t leave behind any irritants or residues. Serving a broad range of both residential or commercial clients in the New Jersey area, the business is headquartered in Hackensack. They offer multiple cleaning services, primarily specializing in carpet and upholstery cleaning, air duct and dryer vent cleaning, grout and tile cleaning, and steam cleaning. UCM Rug Cleaning is a Bergenfield, NJ rug and carpet cleaning company that has served all of Bergen County for more than a decade. The company offers free pickup and delivery of rugs to be cleaned at its fully equipped workshop. The company also performs upholstery cleaning, air duct cleaning, and tile and grout cleaning. UCM Rug Cleaning works on private homes, apartment buildings, office buildings, and retail establishments. The company prides itself on handling the toughest stains, including coffee and red wine, as well as the most persistent pet stains. The company provides free estimates and offers a 10 percent coupon on its website.